3x1 "W4 Carter" distressed denim shorts. 7 For All Mankind distressed denim shorts. Approx. 3" inseam (with cuff). Five-pocket style. Mid rise. Slim-fit legs; rolled cuffs. Button/zip fly; belt loops. Cotton/polyester/spandex; machine wash. Imported. 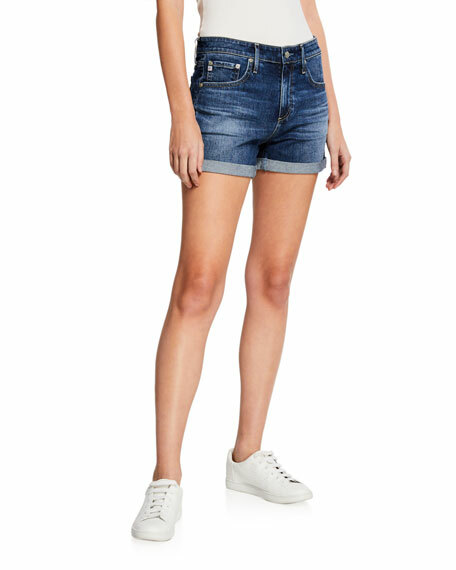 AG "Hailey" slouchy jean shorts in light-wash, distressed denim. Approx. measurements: 10" rise; 3.5" inseam; 22.5" leg opening. Mid-rise; belt loops. Button-zip fly. Five-pocket style. Relaxed fit. Cuffed hem. Cotton/polyurethane. Imported. AGOLDE "Micah" shorts in dark-wash rigid denim. Approx. measurements: 11" rise; 4" inseam; 23.5" leg opening. Five-pocket style. Relaxed fit. 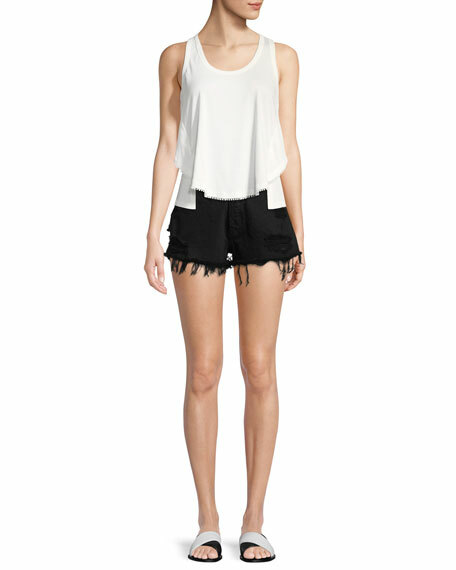 Frayed hem. Button/zip fly; belt loops. Cotton. Imported. AGOLDE "Micah" shorts in medium-wash rigid denim. Approx. measurements: 11" rise; 4" inseam; 23.5" leg opening. Five-pocket style. Relaxed fit. Frayed hem. Button/zip fly; belt loops. Cotton. Imported.